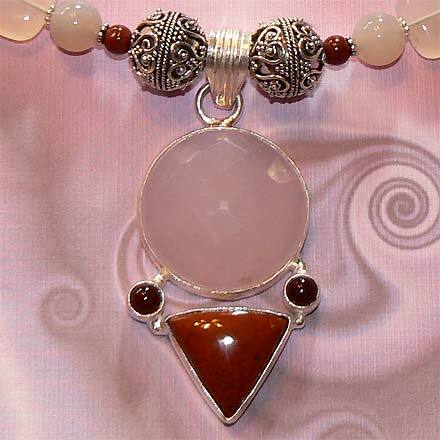 Sterling Silver Chalcedony, Red Jasper and Garnet Necklace. See Closeup. 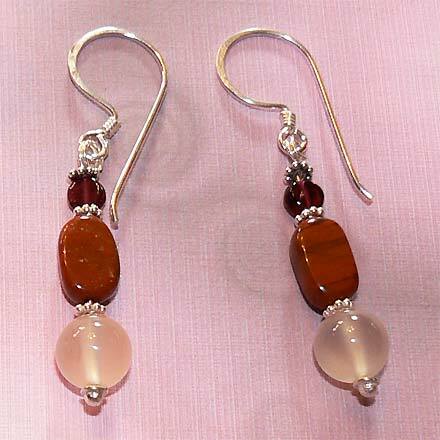 Cloudy Pink Chalcedony is complemented by opaque Red Jasper and dark transparent Garnet. Three different shades of red...light, medium and dark. 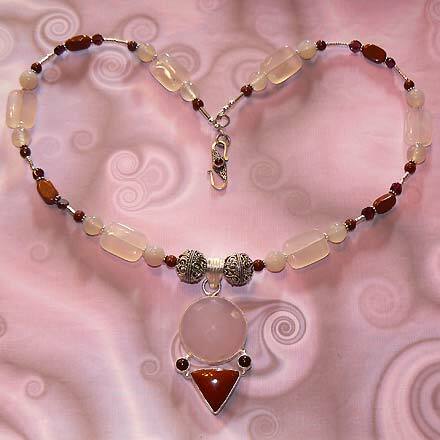 Necklace comes with a Garnet set in the clasp.